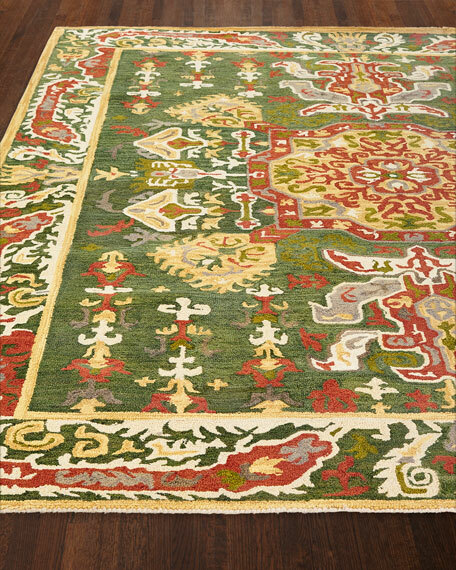 Castlerock Woven Rug, 9'6" x 13'6"
Stunning pebble design. So soft, yet an elegant texture. All loop pile with a sheen and design like no other broadloom. The colors are breathtaking. New Zealand wool/Saudi Arabian wool. 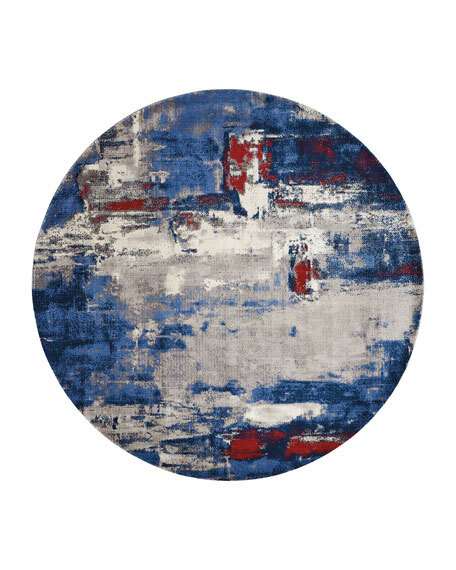 Handcrafted transitional rug in painterly swirl design.Hand washed, hand finished, loom woven.Use of a rug pad recommended.Luxcelle® rayon/wool.Imported. 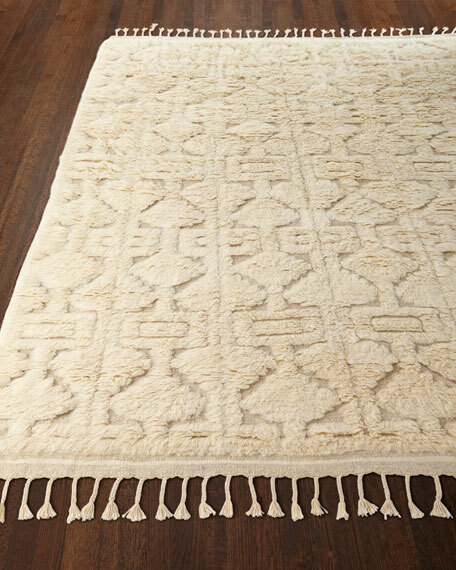 Inspired by a rustic outdoor lifestyle, combined with the nomadic motifs of traditional Kazak patterns. Made of 100% wool that has been hand-hooked and tip sheared and then washed to create a worn rugged feeling. 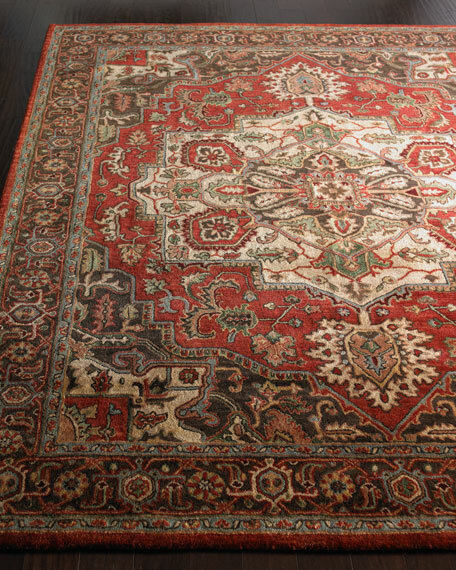 Javed Rug, 9'6" x 13'6"
Rug displays a traditional heriz design.Hand tufted of New Zealand wool.A unique herbal-wash process and lavish pile with a silk-like sheen recreate the elegant look of a priceless antique. Size is approximate.Imported.